America's circus—a spectacle of flying trapeze artists, colorful clowns and trained animal acts under the big top—grew out of the traveling menagerie phenomenon in Somers, New York, in the 1800s. 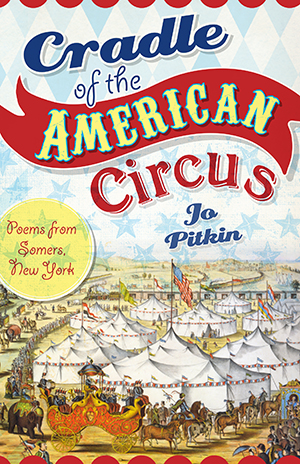 To commemorate this proud local heritage, award-winning poet and Somers native Jo Pitkin presents a collection of poems inspired by the people, events and fantastic ephemera of the glory days of the Somers showmen. Complementing her dazzling lines are essays by regional historians that explain Somers's unique role as the Cradle of the American Circus. Ladies and gentlemen, boys and girls, children of all ages, step up, step up! The show is about to begin.